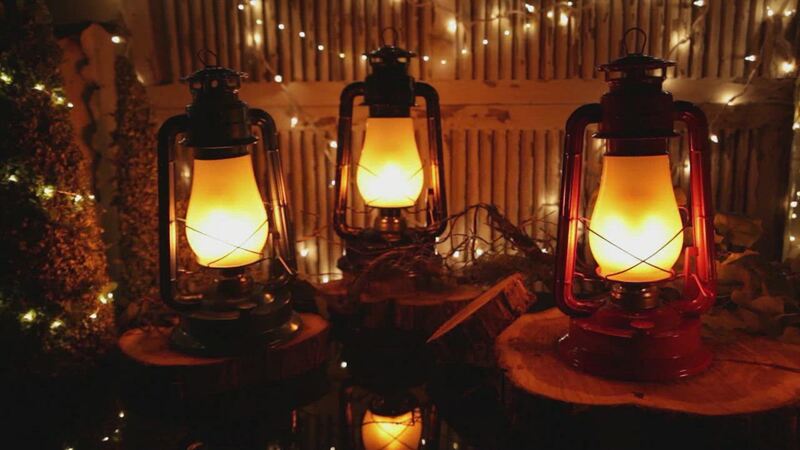 Our unique digital flame LED lanterns mimic the authentic dancing light found in traditional lanterns and oil lamps, but entirely with LED technology! A warm LED bulb flickers on and off in flamelike patterns so realistic you won't believe your eyes. Metal construction and a frosted glass chimney complete the authentic look of this lantern. Use them anywhere you'd use ordinary lanterns, including indoor settings -- no smoke, no mess, no refilling, no problem. You'll be amazed at how realistic these lanterns perform! This lantern exceeded my expectations. The quality of the flame is so realistic that I was concerned that someone would see it from outside through the window and think there was an actual fire. Wonderful item.